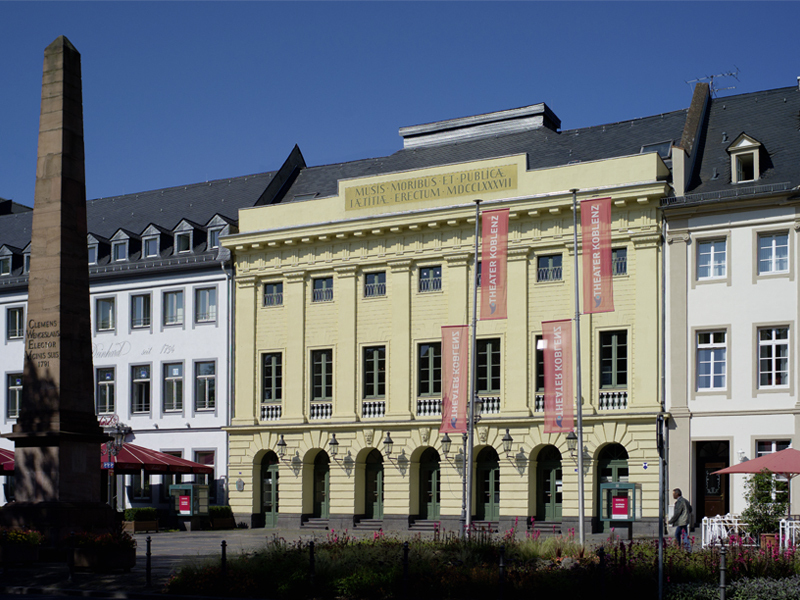 Located not far from the Electoral Palace, the Koblenz Theatre is one of the only surviving examples of classical theatre construction on the Middle Rhine, and is the earliest example of a gallery theatre in Germany (as opposed to the earlier box theatre). 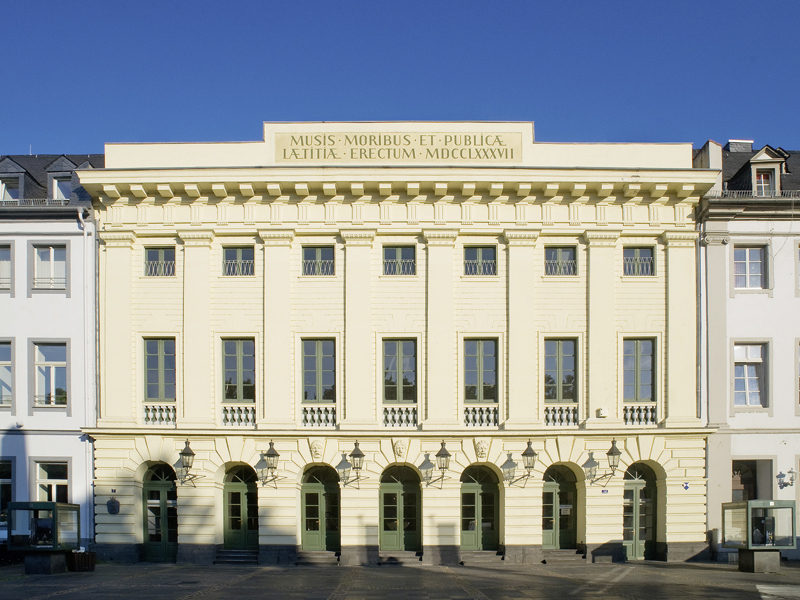 The theatre was built in the early classical style after just seven months of construction in 1787 on behalf of the Trier Archbishop and Elector Clemens Wenzeslaus von Sachsen. 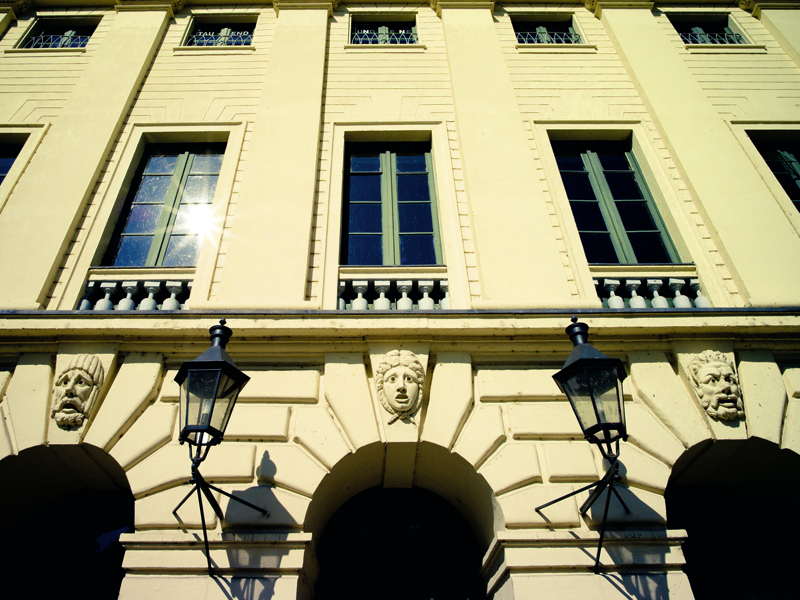 The building became the property of the city in 1867 which had it renovated in 1869 when the interior was converted in the historicism style. 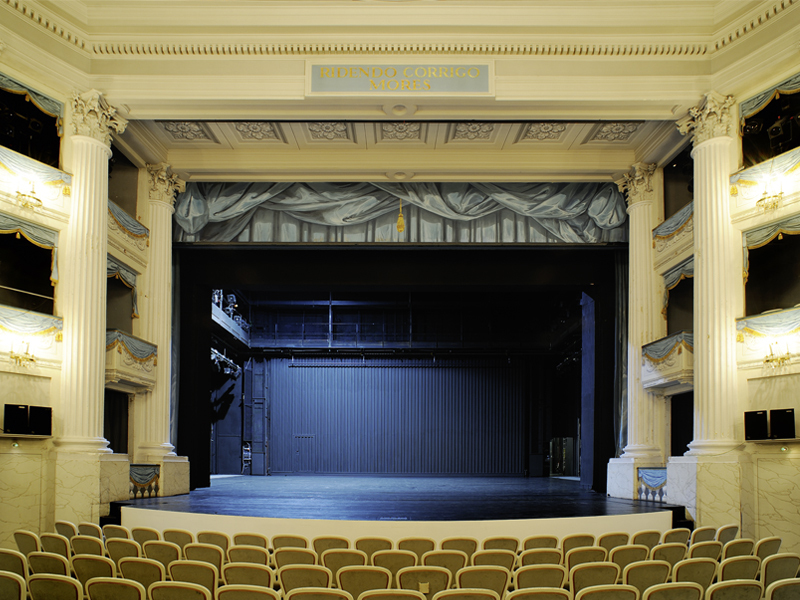 After further modifications in 1937 and 1952, which further modernised the appearance of the building and renovated it after damage from the war, the theatre was fully reconstructed from 1984 to 1985 with the aim of coming as close to its original 1787 state as possible. 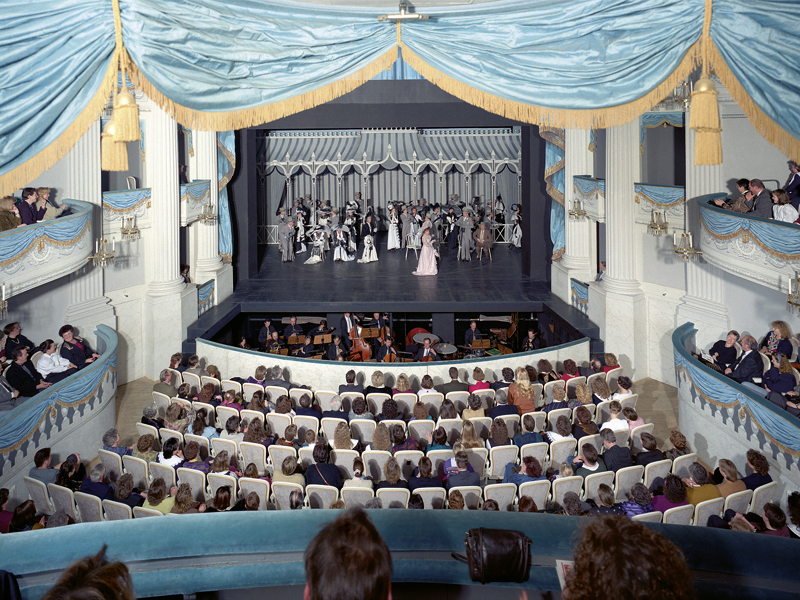 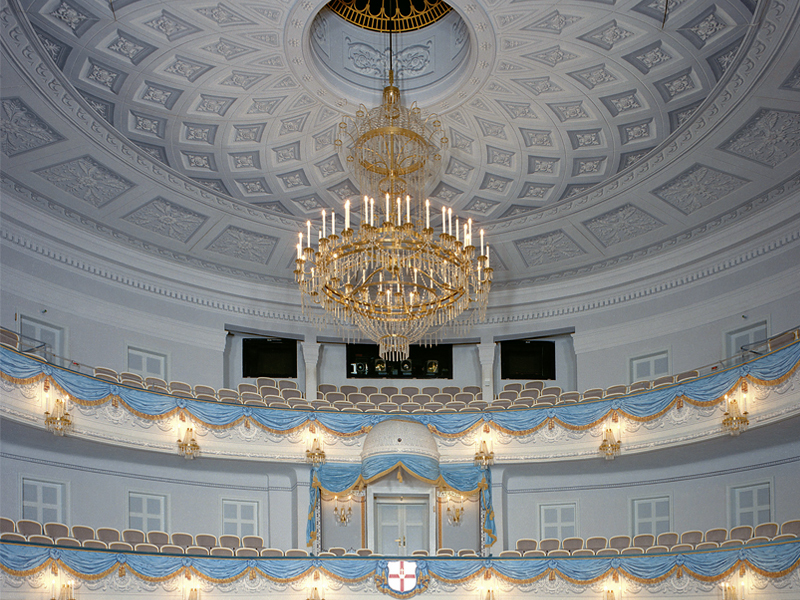 With an interim capacity of 800 (of which a large number were standing places), the Koblenz Theatre now offers space for just 460 spectators. 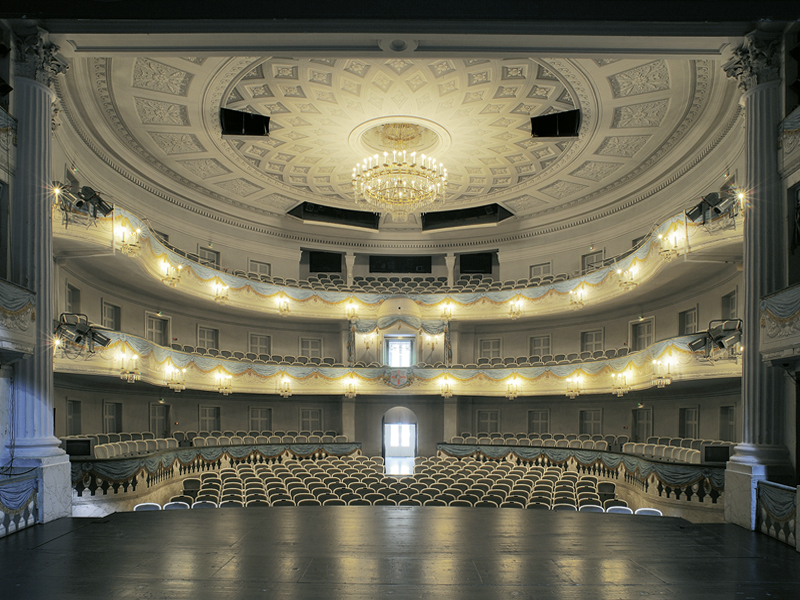 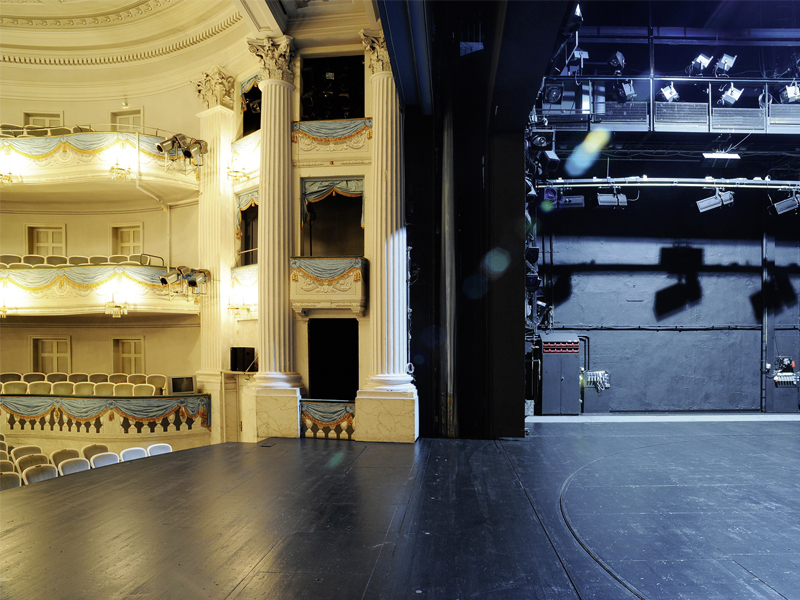 Today the Koblenz Theatre is a three-part theatre with its own ensemble for drama, musical theatre and ballet. 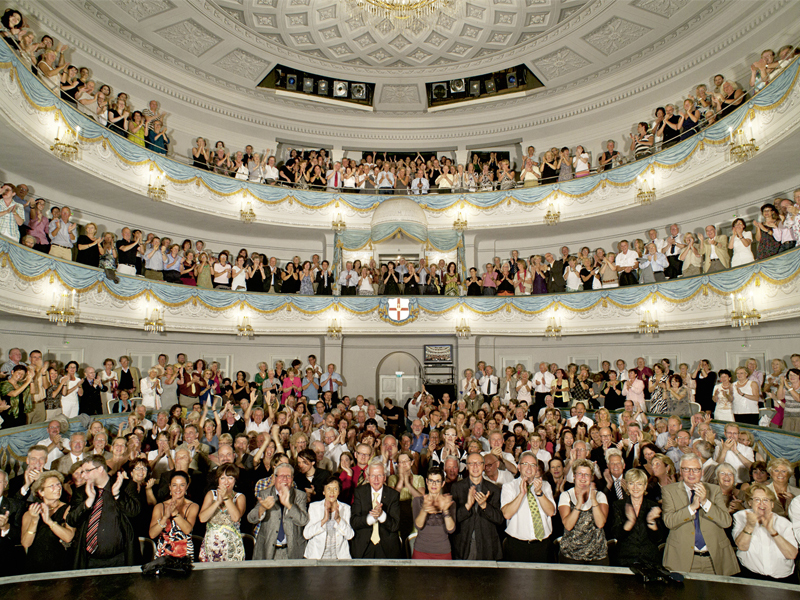 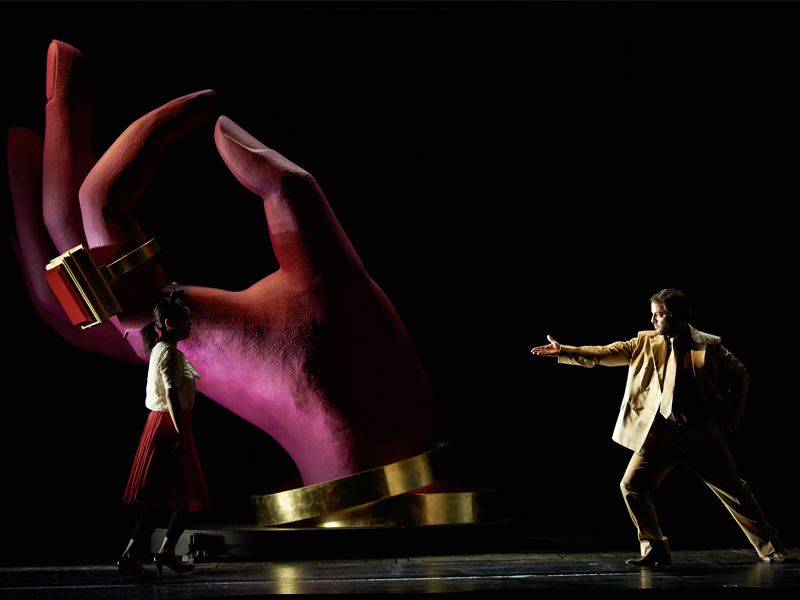 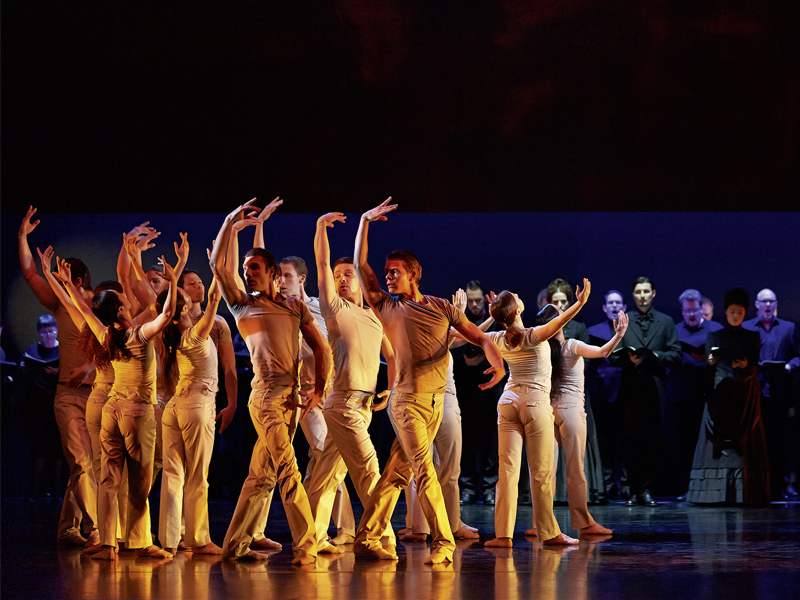 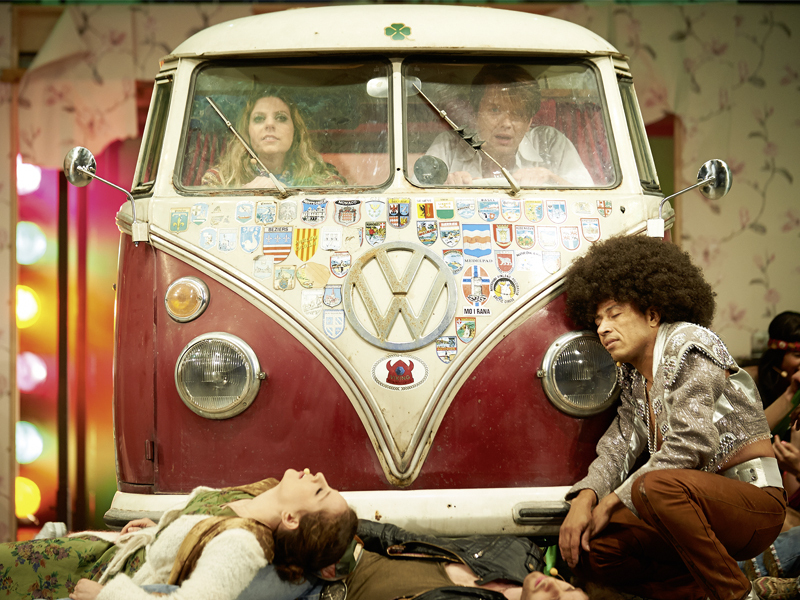 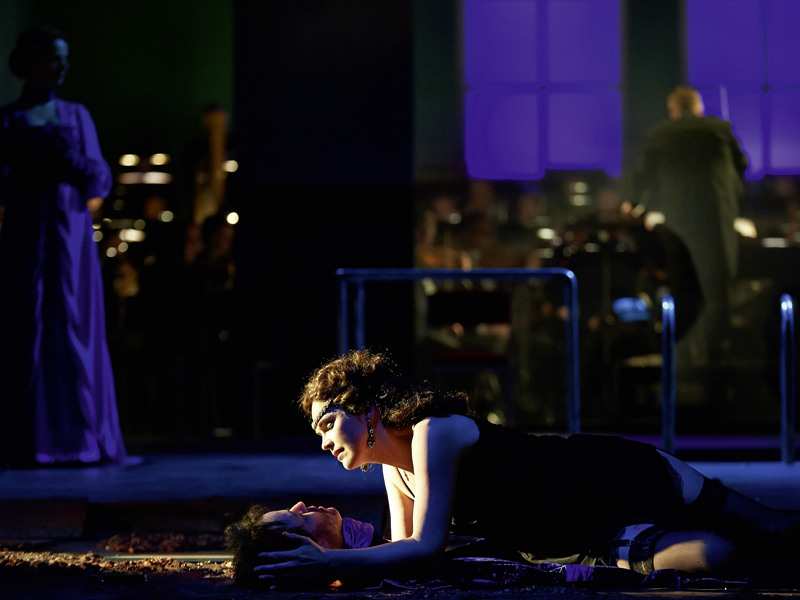 The repertoire includes opera, musicals, drama, ballet, children’s and youth theatre from all eras and genres.